To close out Foreign Cinema Month on Cinema Sips, I’m featuring a film that is maybe the epitome of esoteric international art-house fare. Black-and-White photography? Check. No discernable plot? Check. Long stretches of time with no dialogue and beautiful tracking shots? Check. Gorgeous peasants who look like they stepped off the pages of an old Life magazine? Check! I Am Cuba (DVD) is a Cuban/Soviet collaboration directed by Mikhail Kalatozov depicting the persecution and eventual rebellion of the communist Cuban party. I know- a laugh a minute, right? What draws me in to this film right away is the exquisite cinematography, which begins on a jungle cruise and continues onto a rooftop pool with the Havana La Dolce Vita crowd. 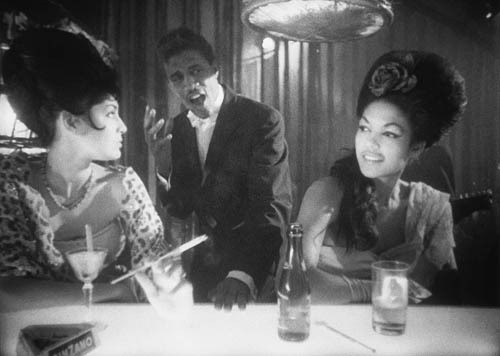 Later, we’re transported to a smoky nightclub where a mournful singer croons `Loco Amor’, and depressed prostitutes nurse cocktails at the bar. The whole movie feels like a dream, or perhaps a nightmare that haunts you long after it’s over. My Laserdisc (yes, it is the dream of the 90’s at my house) of the film is subtitled in English, I think the characters are speaking Spanish, and there’s also Russian dubbing thrown in for fun. The American characters are either dubbed badly by someone with a Russian accent, or the Russian (or Cuban?) actors couldn’t quite grasp English before making this- I can’t tell which. Talk about foreign cinema! I’ve featured variations on the Mojito several times on Cinema Sips, but with such an authentic Cuban movie, I think it’s time to make the real thing. I’ve been saving the mojito for either I Am Cuba or Dirty Dancing: Havana Nights, and Kalatozov beat Swayze by a nose. According to the bartender at San Antonio’s Hotel Havana, the key to an excellent mojito is to roll the mint leaves against the palm of your hand to release the oils. I’m not sure if it’s true, but I had fun testing the theory. While watching I Am Cuba, I recommend drinking a Mojito. 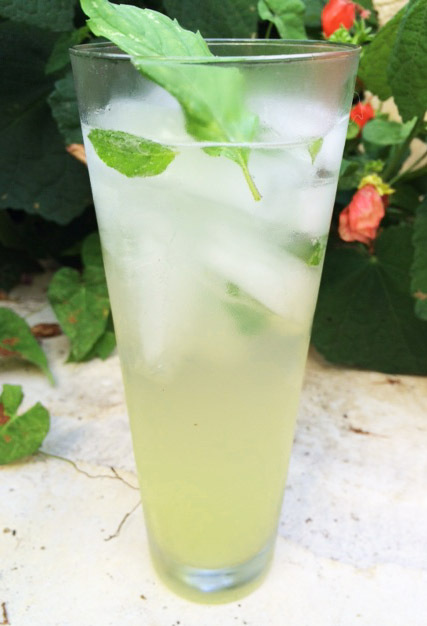 Muddle mint leaves in the bottom of a glass with sugar and lime juice. Add the rum, ice, and top with soda water. Garnish with a sprig of mint. I have had such a great time re-discovering international cinema this month. Watching any of these films always gives me a bit of wanderlust. There were a few that didn’t make the cut that I’d still like to mention- I’m So Excited (or really anything by Pedro Almodóvar), Y Tu Mamá También, Umbrellas of Cherbourg, Blue is the Warmest Color, Jules et Jim, and The Blue Angel. I urge you readers to check out one or two of the movies I’ve featured, and let me know if you have any other favorites. There really is a whole world of cinema out there waiting to be explored. Cheers! Posted in Classic Films, Foreign and tagged Almodovar, Blue is the Warmest Color, cocktails and film, Communism, Cuba, Foreign Cinema, I Am Cuba, I'm So Excited, Jules et Jim, Mikhail Kalatozov, mojito recipe, movie cocktails, Soy Cuba, The Blue Angel, Umbrellas of Cherbourg, Y Tu Mama Tambien. Bookmark the permalink.